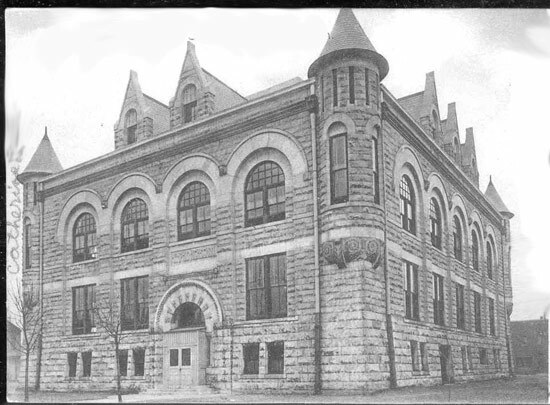 Principal J. L. Highsaw continues his campaign for a new and larger "Technical High School". The school district wants this also, but simply can't provide the funds. 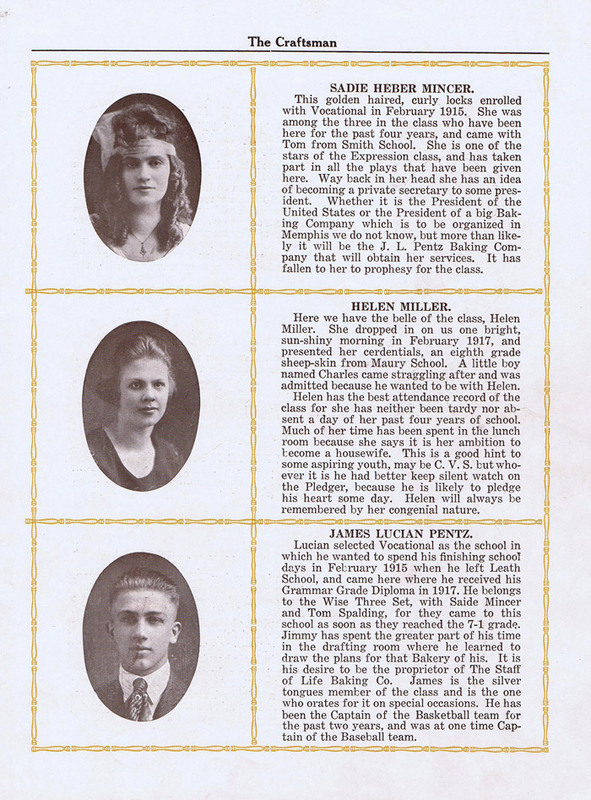 In 1919, the school's Company of Cadets becomes Company K of the Memphis R.O.T.C. For the next six straight years it will win the annual competitive drill in the city. and for other schools. 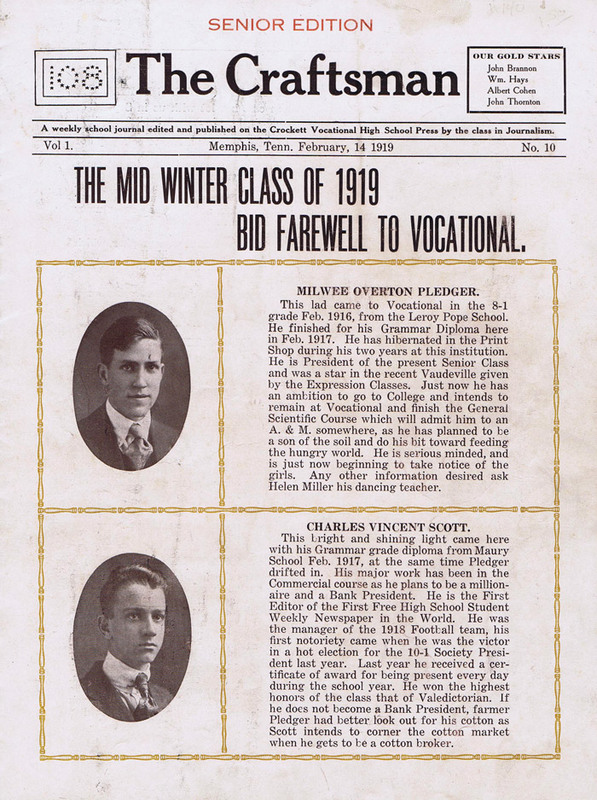 Because of their print shop, it's been obvious to some of us that Crockett Vocational must have printed a yearbook for their own school. But nothing surfaced until now (February 2011). We thank Memphis attorney and historian, George Whitworth, for allowing us to reproduce his 1919 "The Craftsman". 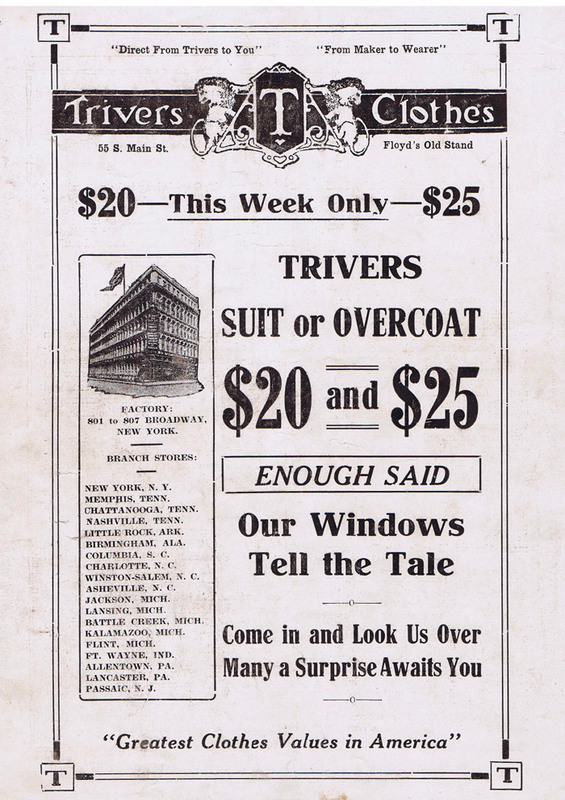 Now, we are more convinced than ever, that there must also be a 1918 and a 1920 "The Craftsman" around. 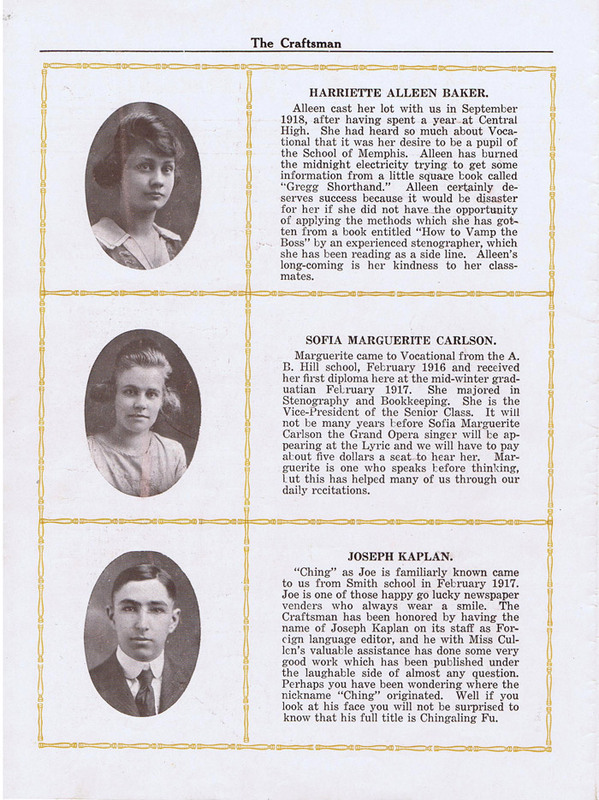 Thanks to George Whitworth for allowing us to reproduce his copy of the 1919 "Craftsman"
Thanks to Maureen Thoni White, for scanning the 1919 "Craftsman"
Click on small photos for an enlargement. Click on the enlargement to return to this page. Did you know that the school colors at this time were Red and Gold? 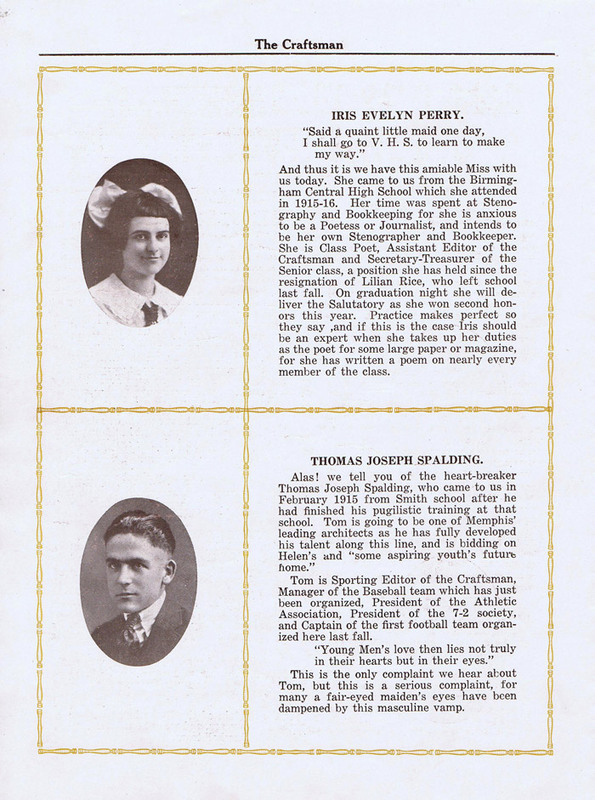 The newspaper articles below are very interesting. Click on the fragment to enlarge the complete article. 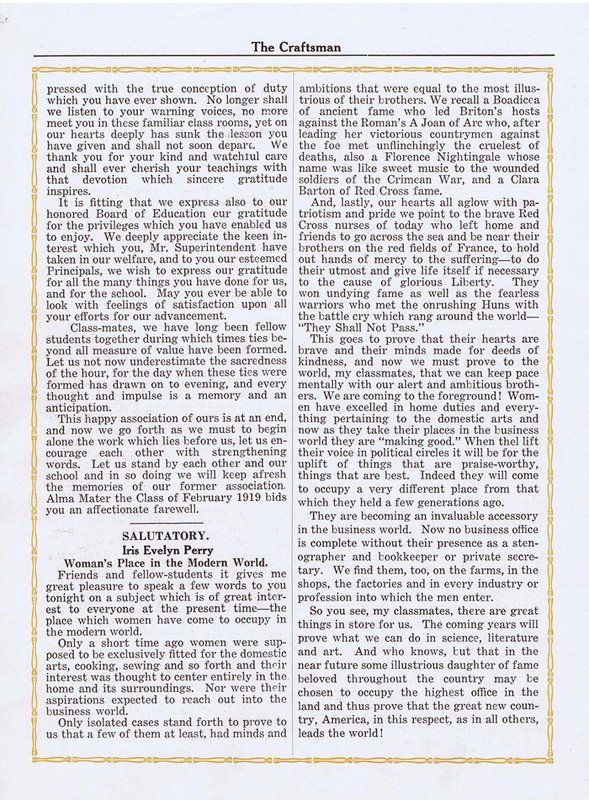 Below: A 1919 article about a new industrial course. 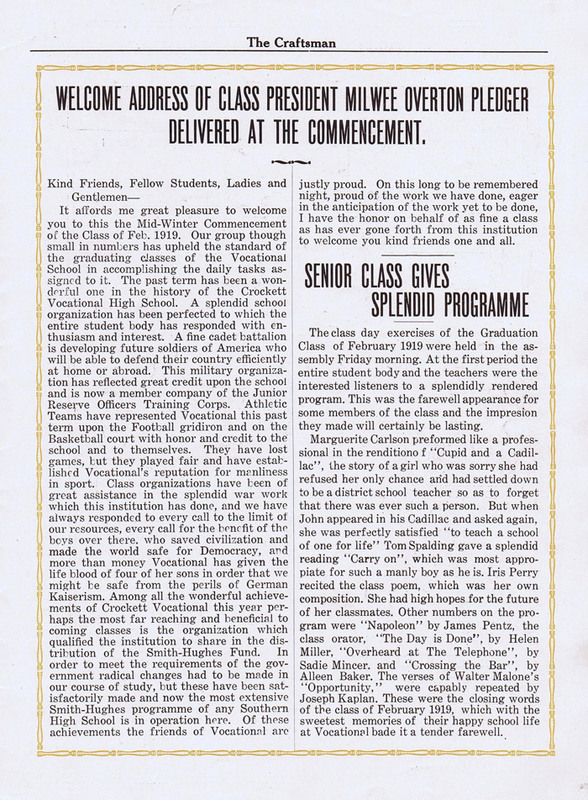 Below: An 1919 article about Crockett Vocational school exhibits at the Fair. 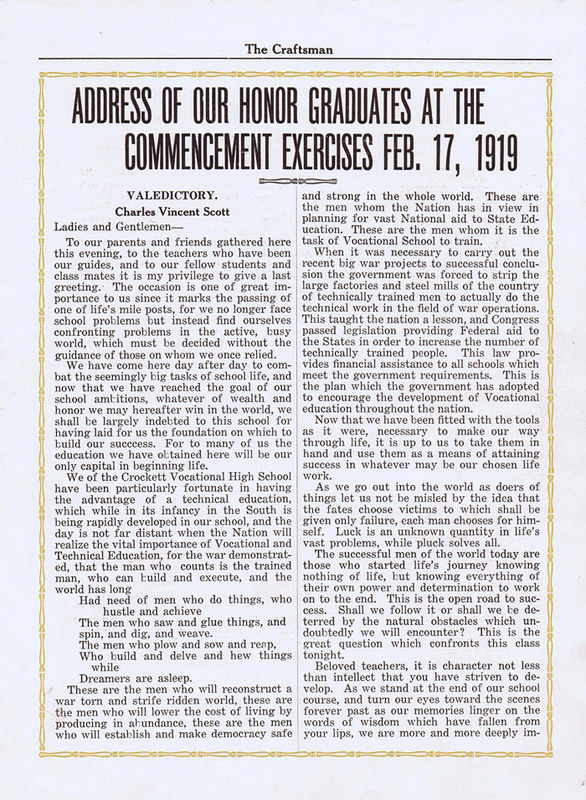 Below: This 1919 article is about "...a memorable half year - under J. L. Highsaw"
Below: This 1919 article is about commencement but a major portion discusses the school and new courses - especially PRINTING and the new printing equipment.